Mailchimp Sync for Eventbrite is a free extension for your Eventbrite account that can help you communicate with event attendees. Use Sync for Eventbrite to remind your email contacts about an upcoming event. You can also sync your attendees to your Mailchimp list, and view ticket purchase information in reports and contact profiles. In this article, you'll learn how to use Mailchimp Sync for Eventbrite. You need administrator-level permissions in Eventbrite to complete this process. Sync for Eventbrite supports all types of public events, and certain private event types. Invite-only events can't be shared with Mailchimp, but you can still sync event data to your list. Events are synced to your Mailchimp account after at least one person purchases a ticket to your event. Eventbrite syncs to only one Mailchimp list at a time, so you may have attendees for several events in the same list. Only one email address can be saved per event purchase. If an attendee purchases multiple tickets at once, only one email address is added to your Mailchimp list. Mailchimp Sync for Eventbrite has been updated with API 3.0 functionality so you can segment by purchase activity. However, Eventbrite does not support certain automations like Abandoned Cart, First Purchase, and Order Notifications. To view the e-commerce features supported by this integration, visit the Eventbrite listing in your account. This integration is compatible with our API version 3.0. To set up Mailchimp Sync for Eventbrite, follow these steps. Visit the Mailchimp Sync for Eventbrite page in the Integrations directory. Click Connect Now to begin the installation process. You'll be asked to log in to your Eventbrite account if you're not already logged in. If you have not previously given permission to connect Mailchimp Sync to Eventbrite, click Allow. Otherwise, click Connect with Mailchimp. In the pop-up modal, input your Mailchimp username and password, and click Log In. Choose whether to sync attendees from all events or selected events. If you choose Attendees from the selected events, check the boxes for the events you want to include. Select which list you would like the attendees to be added to, or click Create new list to create a new list. Current and new attendees to your selected Eventbrite events will automatically be added to the selected Mailchimp list. 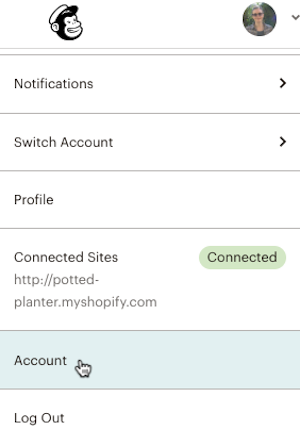 After you install Mailchimp Sync for Eventbrite, you can visit the Connected Sites page in your account to view details for your Eventbrite connection. Here, you can see the status of the integration or add and manage e-commerce features. After the sync is complete, you’ll have access to Mailchimp’s e-commerce features. You can create purchase-based segments to use with campaigns, track and report data, send custom product recommendations, and more. 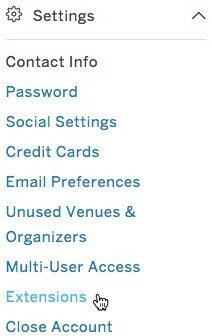 After you set up Mailchimp Sync for Eventbrite, you can view ticket buyers and their data in the following places. When an attendee is added to your Mailchimp list from Eventbrite, the following information is included in their contact profile. Attendee email address, first name, and last name. Attendee signup source noted as Eventbrite at the top of the profile. Attendee's Eventbrite ticket purchases appear in the contact Activity Feed. If an attendee's email address is already in your Mailchimp list, Mailchimp Sync won't overwrite any data, but it will add their event ticket purchases to their activity. 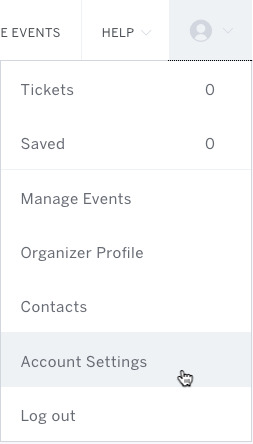 Segment your list by purchase activity to view contacts in your list who purchased tickets to a particular event. You can also send a campaign to the segment, or save the segment as a CSV file on your computer. With Mailchimp Sync, you can select an Eventbrite event and add it to a new Mailchimp campaign. Mailchimp Sync supports sharing all Eventbrite event types, aside from invite-only ones. To create an email campaign through Mailchimp Sync, follow these steps. Log in to your Eventbrite account. Click your profile icon to expand the drop-down menu, and click Manage Events. Click the title of any event. 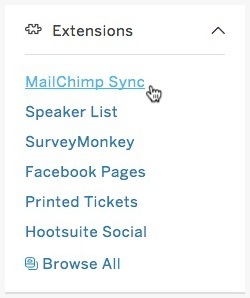 In the left navigation panel, click Mailchimp Sync from the Extensions section. From the Mailchimp Sync dashboard, click the Create Campaign tab. Select an event and the list you want to send to, and click Create new campaign. On the Reporting tab, click Edit/Send for the event you want to share in your campaign. You'll automatically be taken to the Campaign Builder in your Mailchimp account. In the Content section, click Edit Design. Copy the link for the event from the Comments tab, and insert the link in your campaign. When you're ready to send your campaign, click Send. Recipients who click the event link in your campaign will be taken to your event's Eventbrite page. 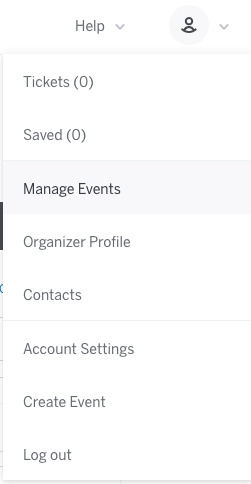 General reporting information, like event ticket sales from the campaign, can be found on the Reporting tab for the Mailchimp Sync extension in your Eventbrite account. Basic reporting information, like event ticket sales from a sent Mailchimp campaign, can be found on the Reporting tab for the Mailchimp Sync extension in your Eventbrite account. You can also view campaign results in your Mailchimp account on the Reports page. You can disconnect Mailchimp Sync from your Eventbrite and Mailchimp accounts at any time. After you disconnect Mailchimp Sync in your Eventbrite account, be sure to remove API access in Mailchimp as well. This will not remove subscribers from your list. To disconnect Mailchimp Sync, follow these steps. Click your profile icon to expand the drop-down menu, and click Account Settings. In the left navigation panel, click Extensions from the Settings section. Click the trashcan icon for Mailchimp Sync. In the pop-up modal, click Disconnect App. Log in to your Mailchimp account. Click your profile name to open the Account Panel, and click Account. 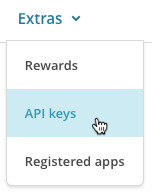 Click the Extras menu and click API keys. In the Authorized applications section, find Mailchimp Eventbrite Extension, and click the X icon. Learn how to integrate Eventbrite with Mailchimp to send event invitations to your Mailchimp subscribers. After you create an audience in your Mailchimp account, you can import contacts from one of our many built-in integrations.